The Albergo Marin is a boutique hotel located just a few steps from the Bus Terminal of Piazzale Roma and Venezia S.Lucia Train Station. 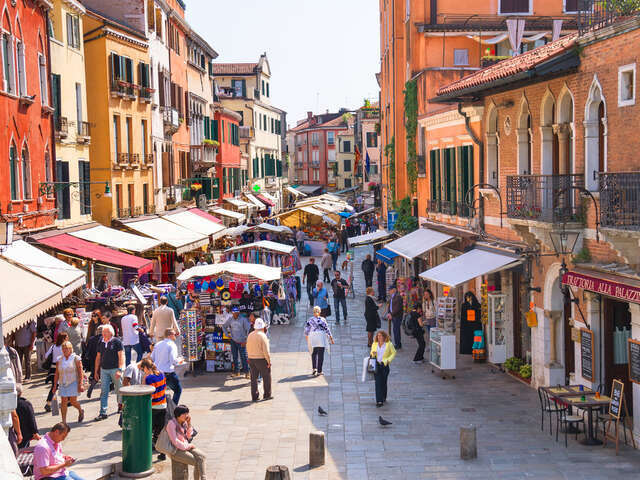 If you have been looking for a budget-friendly hotel to stay in during your tour of Venice, this 1-star hotel is the best thing that can happen to you. The hotel gives the best representation of old Italy. From the architectural design to the interior decor, you will find yourself fantasizing about ancient Italy. Even the streets outside are cobbled and have street cafes. Popular holiday activities in and around the hotel include; kayaking around Venice, photography, exploration of old bridges and canals, visiting museums and galleries, entertainment in the operatic theaters and many more. Make a reservation at Albergo Marin for your once-in-a-lifetime experience of Venice.